In real estate, as with pretty much every sector, the race for data is on. In order to find unrecognized value in an industry as localized and well capitalized as real estate, analysis needs to be done on broader and broader data sets. This has led companies to search further and further outside the normal portals for real estate information. Google search patterns, Amazon purchasing trends and social media mentions are now being used alongside sales comps and census info, changing the way we understand a property market. Advances in cloud storage and analytics have allowed the average professional to harness insights about data that was once the realm of statistics professors and data scientists. “The great thing about tech today is that you don’t have to be a wizard to make inferences from your data – you just need a good source of structured data,” says Abhinav (Abe) Somani, CEO of Leverton. Leverton is using AI (artificial intelligence) to help real estate professionals find, sort and analyze an unused trove of data that has been sitting under our noses the whole time. 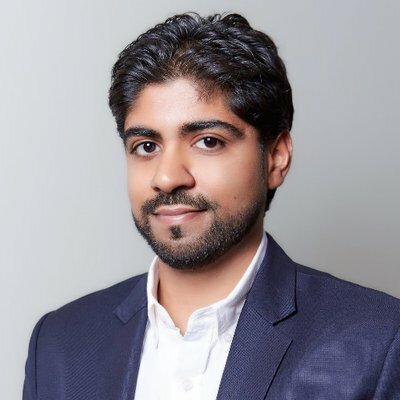 Abe Somani is CEO of Leverton, a company using AI to help real estate professionals find, sort and analyze under-utilized data. AI and machine learning are now able to read even the most complicated documents. A study was recently released that showed how AI programs were actually better at spotting issues in a legal document than even the best lawyer. So, it is no surprise that an algorithm would be able to extract vital information out of the real estate documents that lay dormant on hard drives and cloud servers around the world. Besides the obvious sale and lease contracts, there are plenty of other sources of property data like loan documents, deeds/guarantees, titles, certificates of insurance, and marketing material. All of these documents contain hundreds of pieces of data that are often not being tracked but can be useful in making predictions about market trends and individual asset performance. With enough internal data, larger firms are able to uncover trends without having to rely on public databases that are often riddled with inaccurate information. For example, global real estate firm JLL, which has been using Leverton’s product since late 2016, has almost 300 offices in 80 countries and 4.6 billion square feet under management. Leverton has no problem processing the thousands of documents JLL produces every year, leading to proprietary insights and a competitive advantage. Artificial intelligence is helping real estate professionals extract vital information out of documents that would otherwise lay dormant on hard drives. For example, anyone with a retail portfolio is likely trying to understand the early termination risk from some of their underperforming tenants. Rather than just wait for the move-out notice they could use their portfolio data to help understand which properties are most at-risk. “Retailers are having trouble maintaining their leases due to the growth of online shopping and many of these leases have early termination rights, co-tenancy clauses, and go-dark periods all of which can be analyzed by landlords to predict which one of their tenants may try to exit their lease and potentially preempt a hostile negotiation,” Abe suggested. 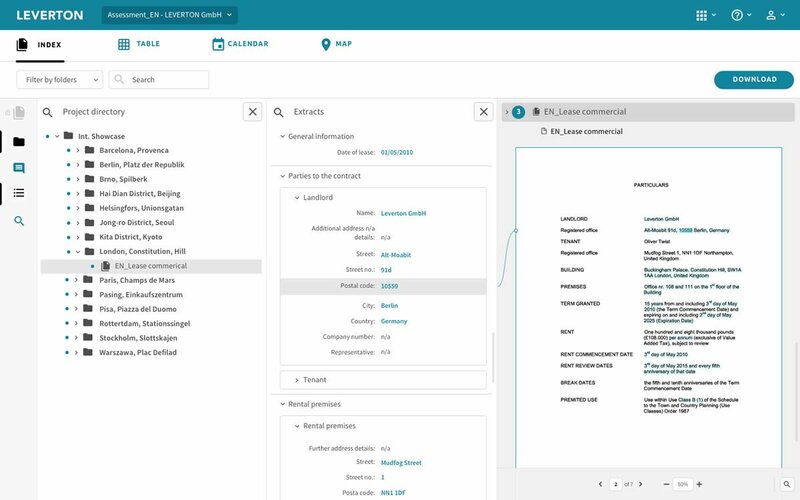 There are hundreds of data points that are underutilized or merely ignored through the current manual lease abstraction process. Without capturing structured data, you lose the ability to process information across an entire portfolio. An entire paragraph or clause is hard to do a trend analysis on, but a binary field (yes/no) or a pick list of 4 choices can be heavily analyzed. For example, something as simple as doing a statistical correlation between “Does my lease have a renewal option or not” vs. “When does it expire?” vs. “City” vs. “Landlord” can suddenly give you tremendous insights into which landlords provide renewal options historically and help you to negotiate better terms with your next renewal or leasing event. The great thing about tech today is you don’t have to be a wizard to make inferences from your data – you just need a good source of structured data. Once you have that, there are hundreds of free and premium tools that can easily organize and analyze this data into visualizations, heat maps, correlation graphs, and reports. Like Abe said, collecting good data is step one, and then asking the right questions is step two. With the help of AI and machine learning, forward-thinking real estate firms are able to discover more insights into their portfolio data than ever before.